Something shifted in my mental creative space this week and it was like flicking over that first domino in the line. I can’t explain exactly what triggered it. 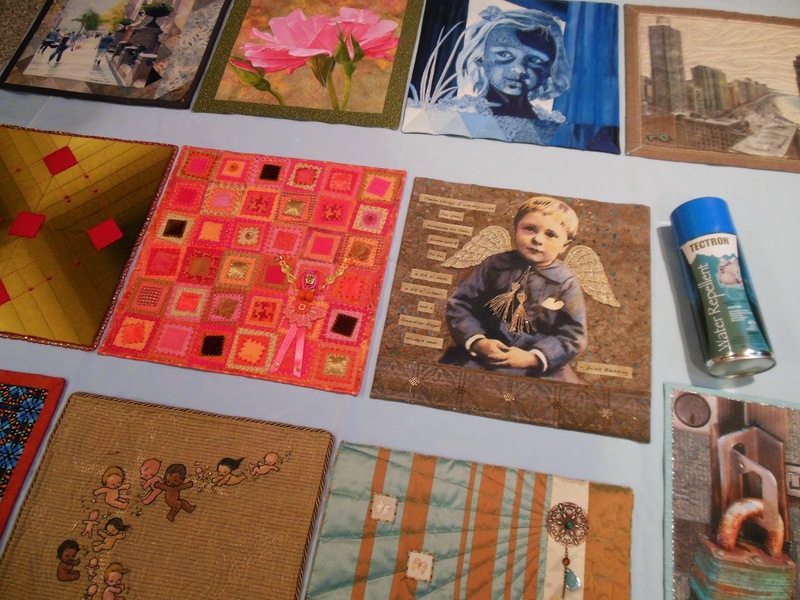 It might have started when I made a decision to seek out the services of other professional quilters in order to finish languishing projects. Or maybe it happened after my latest challenge quilt was done and I decided to take the Cadillac (aka my Janome Horizon) in for routine maintenance. 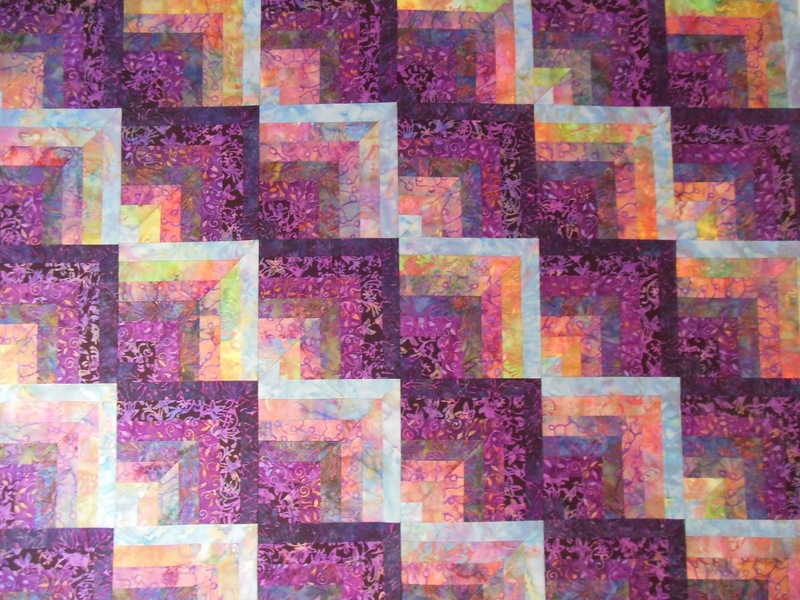 That meant pressing my #2 machine into service as a pinch hitter… and just like that, with spare time to spend on old projects and the old machine out to play, a quilt that had been on my design wall for ages came down and became a finished top. The design wall wasn’t empty for long – I covered it with blocks first started in 2007 and now those are sewed together too. Along the way, the grandkids came over, who I only let sew on machine #2, and they were happy as clams to get a chance at sewing squares together to make their own “quilts”. 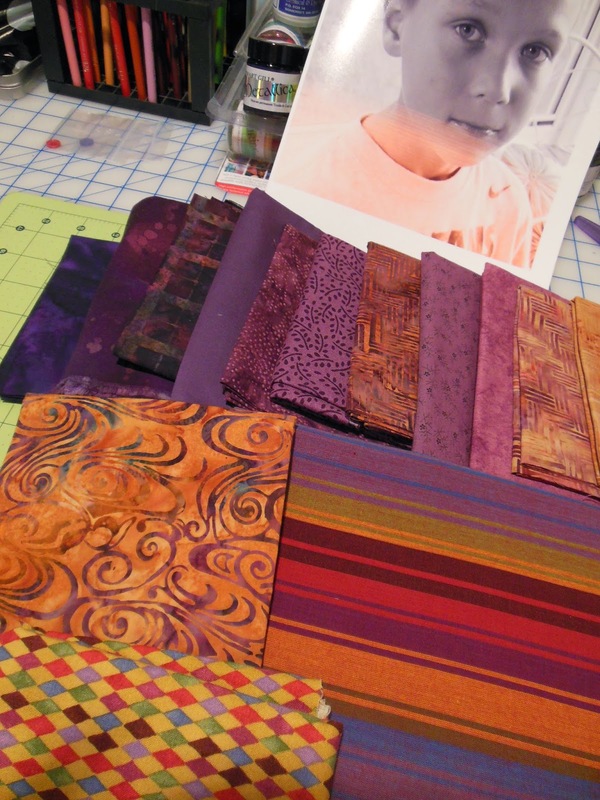 As they sorted through scraps, commenting on fabrics from familiar projects, I was hit with inspiration to make a portrait quilt of Chase, similar to the one of his sister, Natalie. After all, I can’t immortalize one kid in fabric and not the other! A few photographs later and we were choosing a color palette. In the middle of all this, I decided the time was right to spray Tectron, a water repelling, UVL resisting treatment onto all of my small quilts. Just because.